Chilblains usually develop several hours after exposure to the cold. They typically cause a burning and itching sensation in the affected areas, which can become more intense if you go into a warm room. The affected skin may also swell and turn red or dark blue. In severe cases, the surface of the skin may break and sores or blisters can develop. It's important not to scratch the skin as it can break easily and become infected. Most people don't need to seek medical advice if they have chilblains as they usually heal within a few weeks and don't cause any permanent problems. You should also seek medical advice if you think your skin may have become infected. Chilblains are the result of an abnormal reaction to the cold. They're common in the UK because damp, cold weather is usual in the winter. Some people develop chilblains that last for several months every winter. When the skin is cold, blood vessels near its surface get narrower. If the skin is then exposed to heat, the blood vessels become wider. If this happens too quickly, blood vessels near the surface of the skin can't always handle the increased blood flow. This can cause blood to leak into the surrounding tissue, which may cause the swelling and itchiness associated with chilblains. Some people are more at risk of chilblains than others. People who smoke are more at risk of chilblains as nicotine constricts blood vessels. 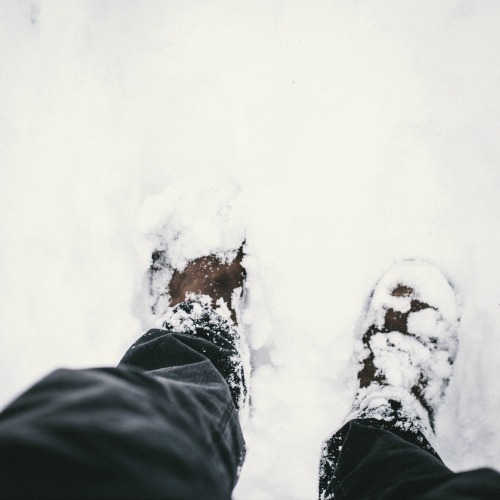 Chilblains can also occur on areas of the feet exposed to pressure, such as a bunion or a toe that's squeezed by tight shoes. Chilblains often get better on their own after a week or two without treatment. It may help to use a soothing lotion, such as calamine or witch hazel, to relieve itching. Your pharmacist may also be able to recommend a suitable product. If your chilblains are severe and keep returning, speak to your GP. They may recommend taking a daily tablet or capsule of a medication called nifedipine. This works by relaxing the blood vessels, improving your circulation. Nifedipine can be used to help existing chilblains heal, or can be taken during the winter to stop them developing. If your skin gets cold, it's important to warm it up gradually. Heating the skin too quickly – for example, by placing your feet in hot water or near a heater – is one of the main causes of chilblains.